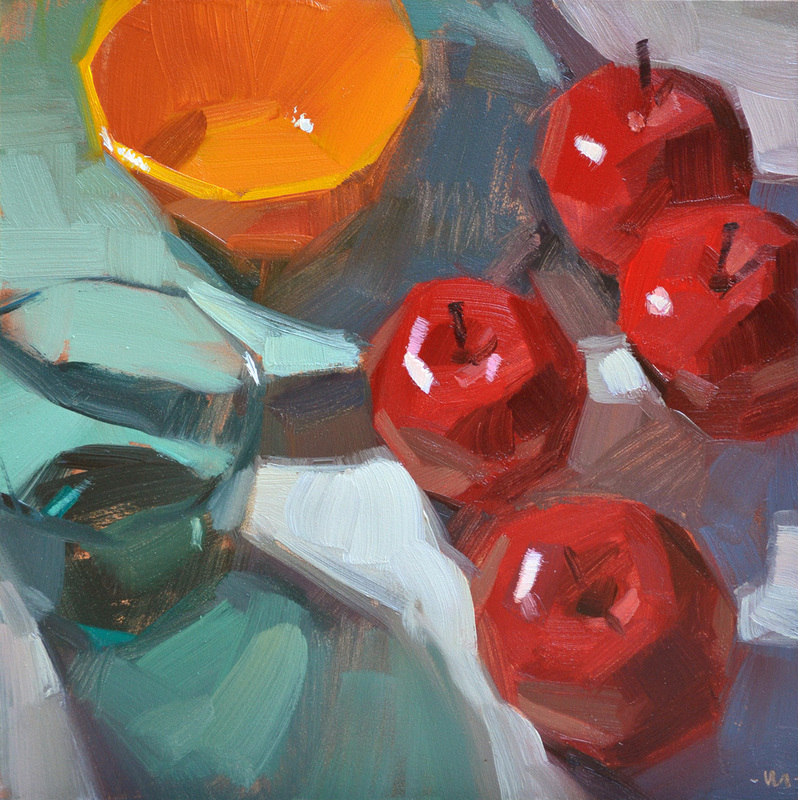 I had a few leftover apples from my workshop last week, and a day to paint them. Otherwise I've been spending some quality time with my family (my boy turned 9! when did that happen?!) and packing for another trip. Tomorrow I am off to the NE for some picture taking and friend visiting. I'll be gone a little over 2 weeks. And then I'll be back at it - I promise. YAY for friend visiting! Can't wait to see you!!!!! Hi Carol, Your art is amazing. I've been enjoying your blog and very much enjoying your art. I've added a link to you from my blog. I hope this is okay with you, if not, please email and I will remove the link. 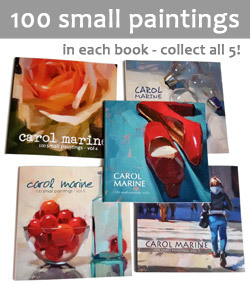 I love this golden bowl Carol, great structure (as always with your paintings)! Have fun in the NE and looking forward to having you back to posting! The Golden Bowl is beautiful!! You make the most mundane subjects look sooooo amazing, Carol. And your colors, shapes and shadows always look totally effortless. Fantastic article....an eye opener really. I recently found your info and love seeing your daily paintings, as I just started my journey (1 month) of painting a house a day for 6 months. I look forward to seeing your art!